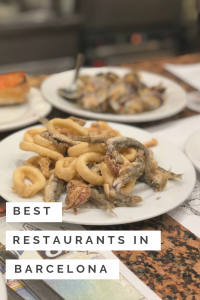 When I started planning my latest trip to Spain the first thing on my to-do list was to compose a list of the best restaurants in Barcelona! 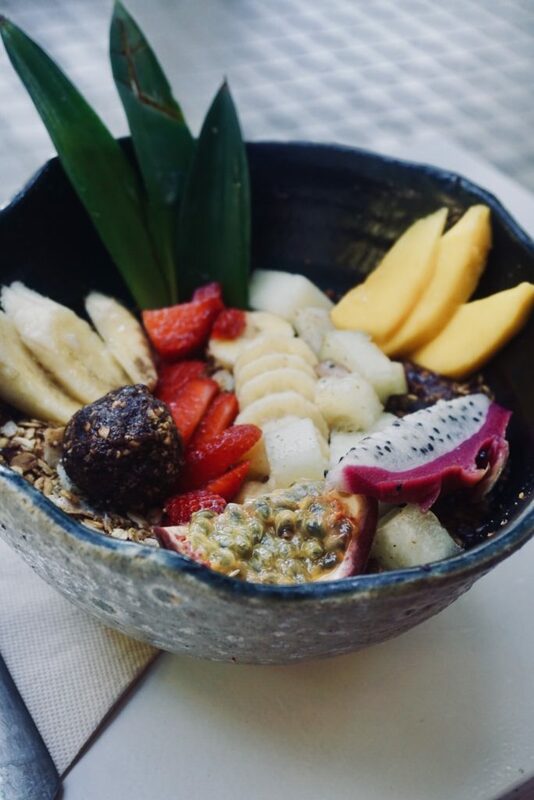 Barcelona has SO many incredible restaurants, but here are just a few of my favorites! 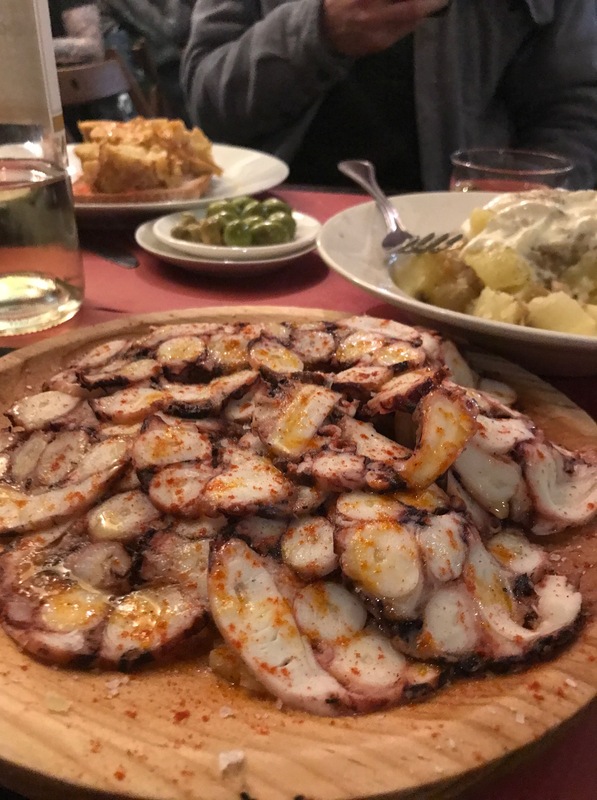 Our dinner at Cal Pep was easily the best meal that we ate while in Barcelona. This casual tapas joint features a no menu policy. 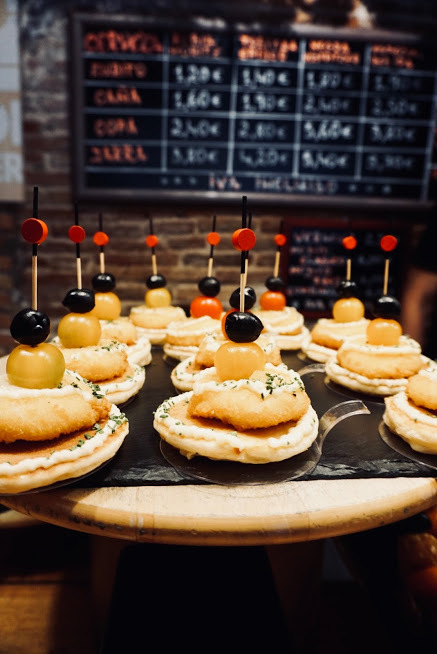 Instead you discuss your preferences and dietary restrictions with your waiter and he will order an assortment of tapas for you. 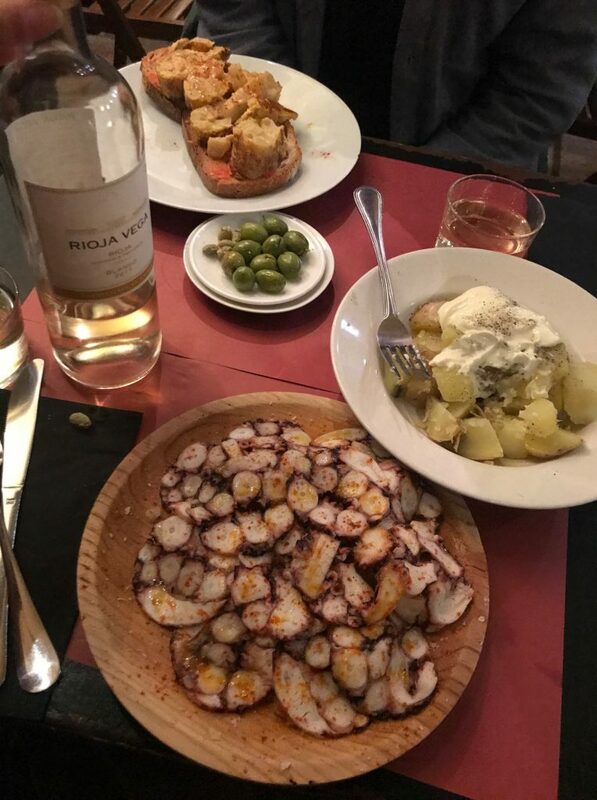 It seems that an average dinner for two with drinks tends to range between 50-80 EUR depending on which tapas you receive. Our bill fell on the higher end as we were served an assortment of pricier tapas such as tuna tartare, fried calamari, and clams. 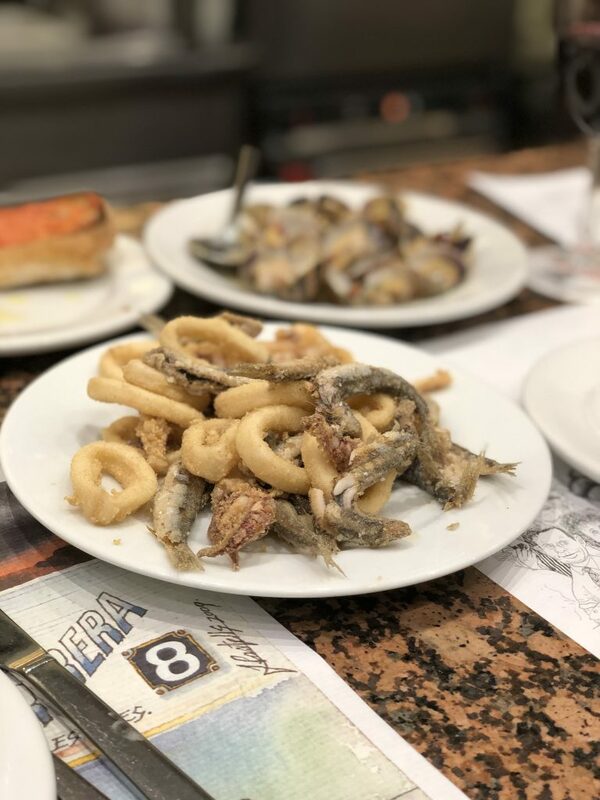 While on the pricier end compared to other tapas spots in the city, the food is incredible and the experience of dining at Cal Pep is definitely worth the price! 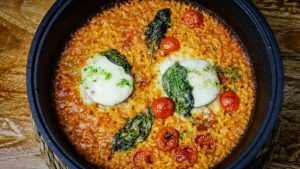 With two location in Barcelona, L’Arrossaria is famous for their paella! I’ve never been much of a paella person but this spot is a must if you’re in Barcelona! 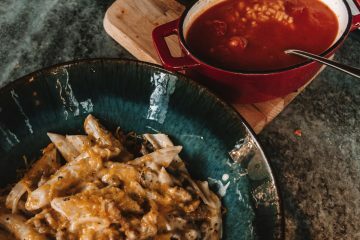 They have a mix of both classic and unique paellas for you to try out. I enjoyed that they offer single serving paellas in the evening, so we could try multiple styles! This street is a must if you’re looking for some great tapas. The street continues about 5 blocks, with tapas bars lining the road on either side. 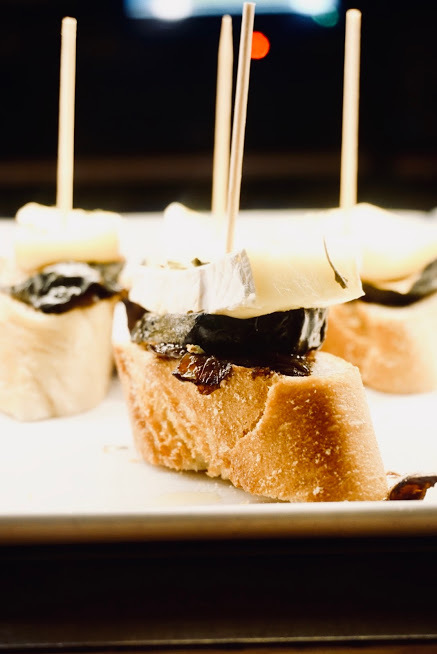 Most places serve an assortment of tapas, often priced at either 1 or 1,50 EUR and designated by the toothpick color. My advice is to stop at 3 or 4 places as your make your way down the road. Some of my favorites include: Taberna Blai Tonight and La Tasqueta de Blai. 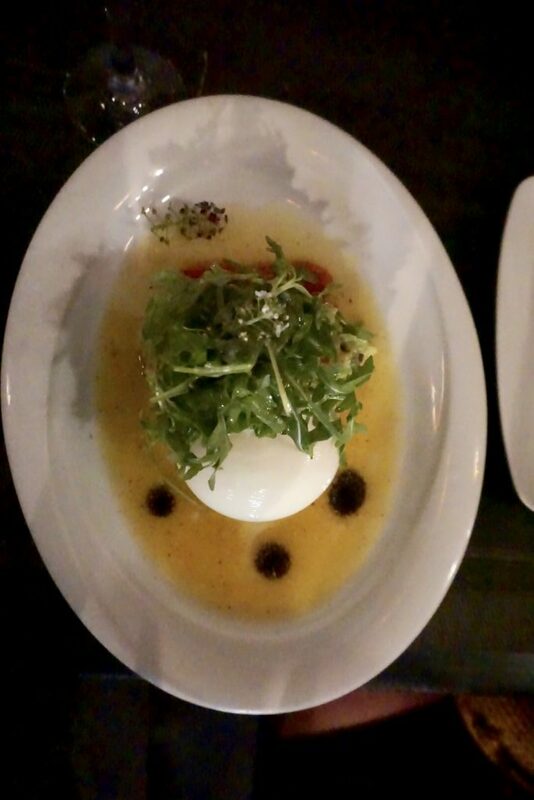 The portions are definitely on the larger side, so keep that in mind when ordering. My personal favorite was the local octopus. 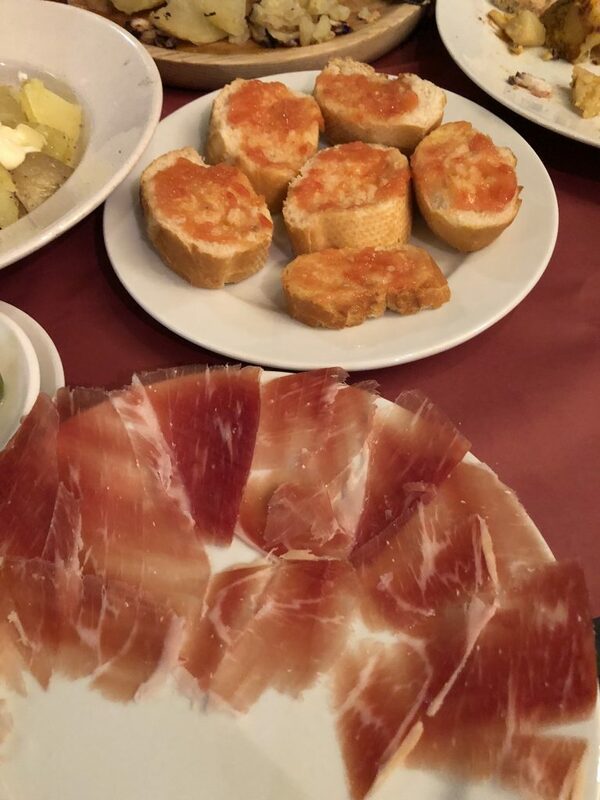 The Jamon Iberico is sliced and served right in front of you, a must for ham lovers! 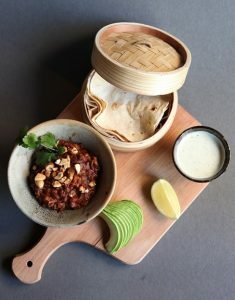 Vegetarian dishes that aren’t just for vegetarians! 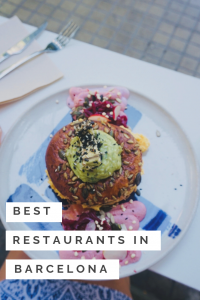 Trust me when I say, The Green Spot is one of the best restaurants in Barcelona! The salads are amazing and the Curry Spot is a must for an curry lovers! 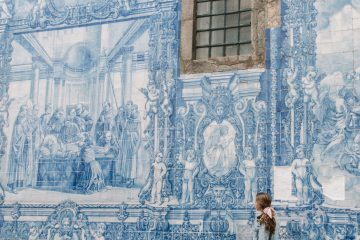 From the minute we stepped into Viana our dining experience was perfect! 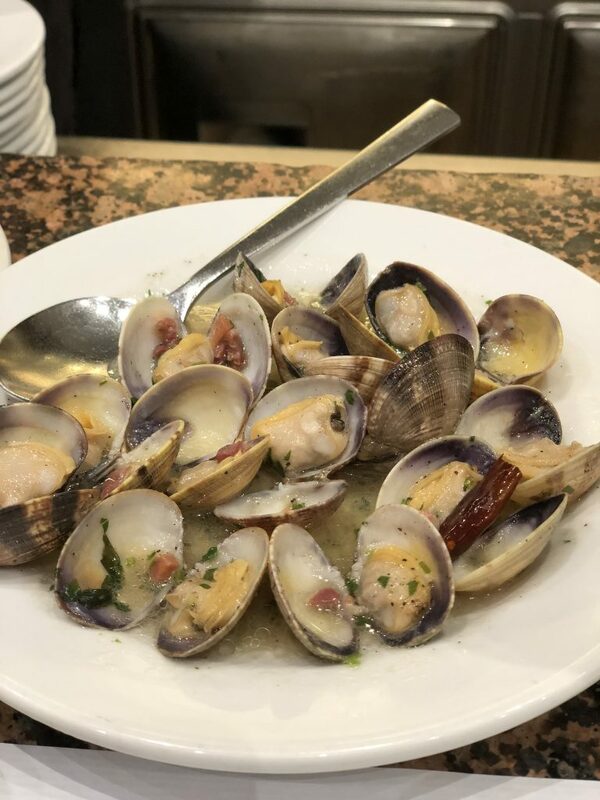 The staff truly makes you feel right at home, so no wonder it is often viewed as one of the best restaurants in Barcelona. There is often a bit of a wait, but trust me when I say it is well worth it. Every item that came out was better than the next! We were enjoying everything so much that I forgot to take pictures.. but I’m sure they wouldn’t have done justice to how incredible everything tasted! 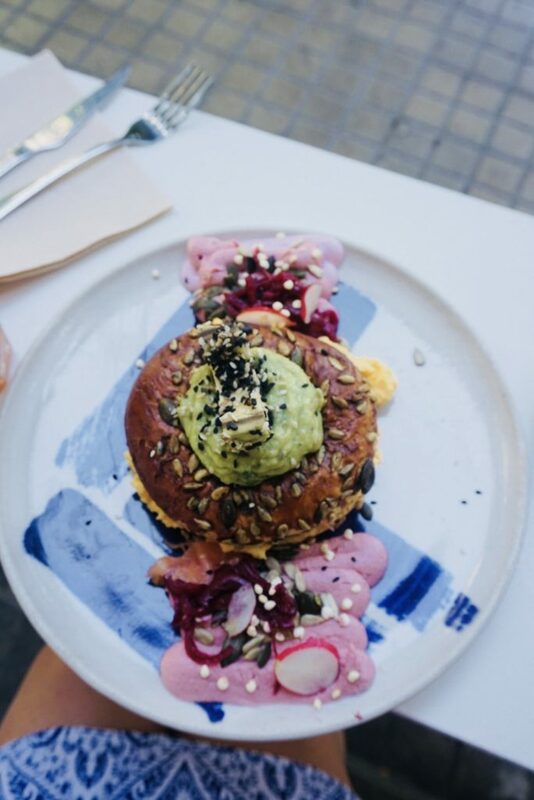 Looking for an Instagrammable brunch spot in Barcelona that tastes as good as it looks? 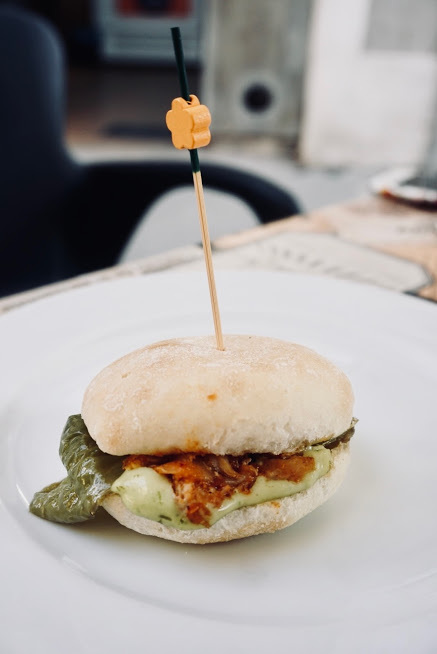 Then this next restaurant on my list of best restaurants in Barcelona is for you! This is a perfect way to get in some fruits and veggies in a meat and cheese heavy city! And of course I saved dessert for last, because no Best Restaurants in Barcelona guide would be complete without a churros spot! 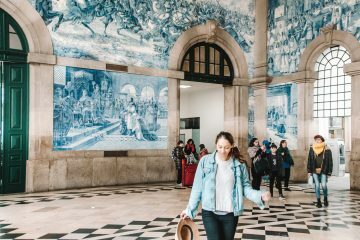 I have visited Valor in a few different Spanish cities and it is personally one of my favorites! 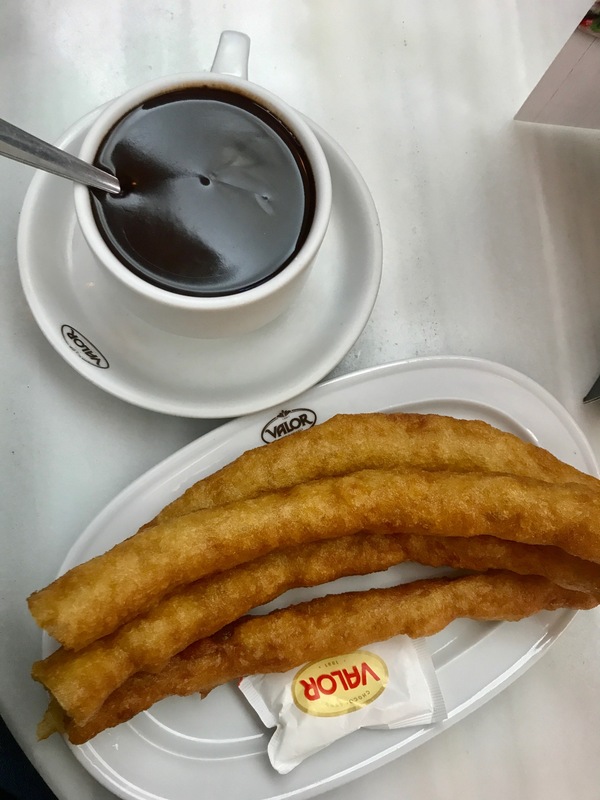 Nothing like warm churros in creamy chocolate to start your day. 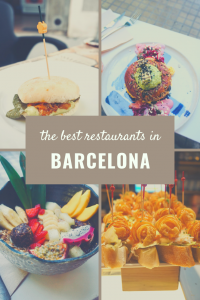 Like what you read about the best restaurants in Barcelona? 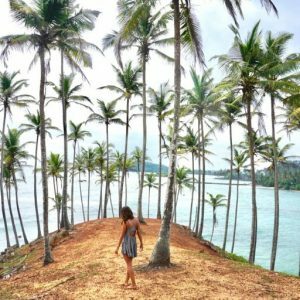 Make sure to Pin it for later!